Workshop held at Bundelkhand University, Jhansi on PHP technology. Workshop held at Invertis University, Bareilly on Java technology. 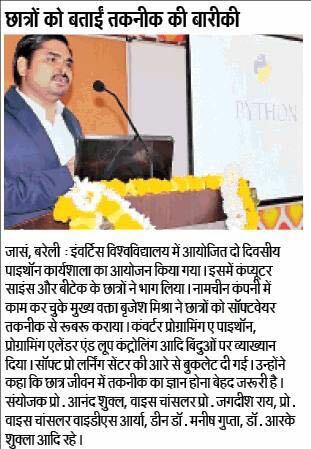 Workshop held at Shri Ram Murti Smarak College of Engineering, Technology, Bareilly on Python technology.